Star Music released a song which features Malia and her mom Pokwang. Proud mother Pokwang shared on social media that her baby Mali O’Brian is now a recording artist. Star Music released the adorable song titled “Malia Malia” featuring the comedienne. “Ang pinaka cute na song this 2019!” Pokwang wrote. Ang pinaka cute na song this 2019! Malia! Malia! by @malia_obrian feat. Pokwang out NOW on all digital music platforms!! #maliamalia #MaliaObrian nasa STARMUSIC YOUTUBE PAGE NARIN ANG MUSIC VIDEO!! Watch naaa!!! ❤️❤️ Malia! Malia! 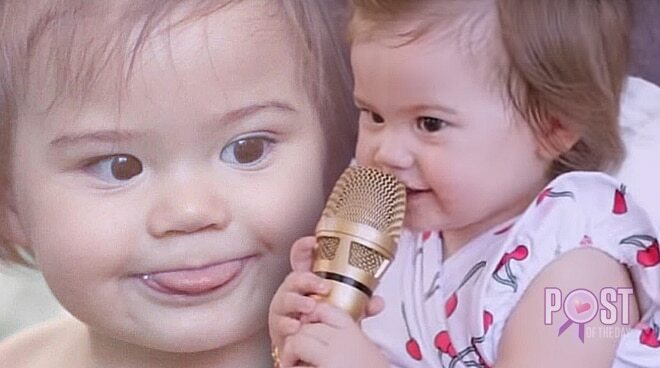 In the official lyric video, Pokwang’s family showed how much they love their little angel.